Hey, we’re half way through the year so I gotta’ ask, how are you doing on those resolutions? If you are like me you started off the year with a list of resolutions aimed at reinventing yourself. With one of the most popular resolutions being improving how you look. From joining a gym to updating a tired wardrobe, the beginning of the year is a very exciting time to set in motion bold plans for self-improvement. Now that we are almost half way into the year some of our grand plans may have dropped by the wayside. But it’s not too late to make a change. For example, if refreshing your wardrobe was on top of your list of resolutions and you’d like to make a great impression this spring/summer, may I suggest the tailored casual look? Try a great fitting suit and sleek sneakers and show the world what a truly well-dressed, stylish individual you are. Now I know what you are saying, I wasn’t one of the earlier adopters of this look either. But as I’ve seen more and more men rocking this style it has grown on me. It’s fashion and function. A perfect combination. So how would one pull this off? It’s simple, keep it fitted and keep it slim. That applies to both the suit and the sneakers. First, the biggest mistake men make when pairing sneakers with a suit is they randomly choose a suit to wear. The fit and cut of the suit is critical. You should choose a suit that compliments your shoes. For example, having pant legs that are too long hides the ‘devil may care’ sneakers that you really want to showcase and defeats the purpose of the suit/sneaker mix. Instead go with a cuffed pant that shows off those sneakers and socks or maybe ankle (if you dare). Second, give some thought to the sneakers you pair your suit with. Choose a simple, sophisticated sneaker. Your suit should be the main focus so your sneaker choice should complement and be an extension of your suit. Forget running shoes, basketball shoes or cross-trainers. Stick to a low cut, slim casual shoe in traditional colours. Also look for a shoe with a slightly tapered toe and a thin sole reminiscent of a dress shoe. 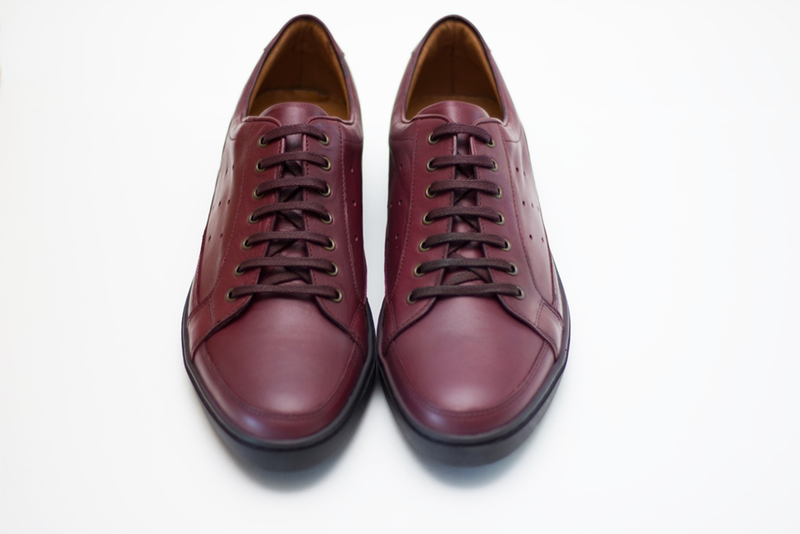 I like the Noble Sole line of sneakers because they are specifically made to be worn with suits. They offer a sneaker with a sleek, modern silhouette which complements the modern suit and that’s exactly what you want in a sneaker/suit combination. There you have it. 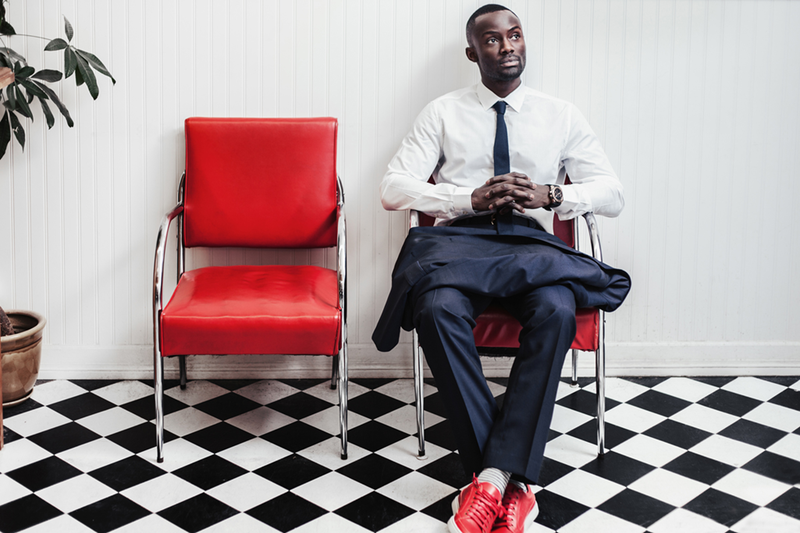 When pairing sneakers and a suit, simple and slim is the key. Now when you’re at office you’ll definitely stand out from the crowd by being the most stylish man in the room, with the most comfortable feet. ← Happy Birthday Cherchez la 40!